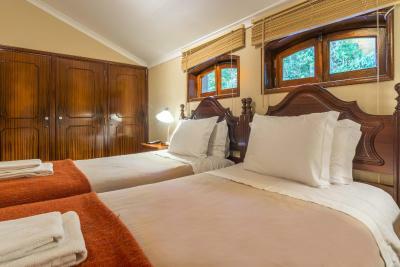 Lock in a great price for Chalet Relogio Guesthouse – rated 8.6 by recent guests! Nice host. Pleasant accommodations. Good breakfast. We loved the architecture, the view, the patio, our room. It was fun that it was a historic stop and people kept taking pictures of the house. The landscaping was also pretty. 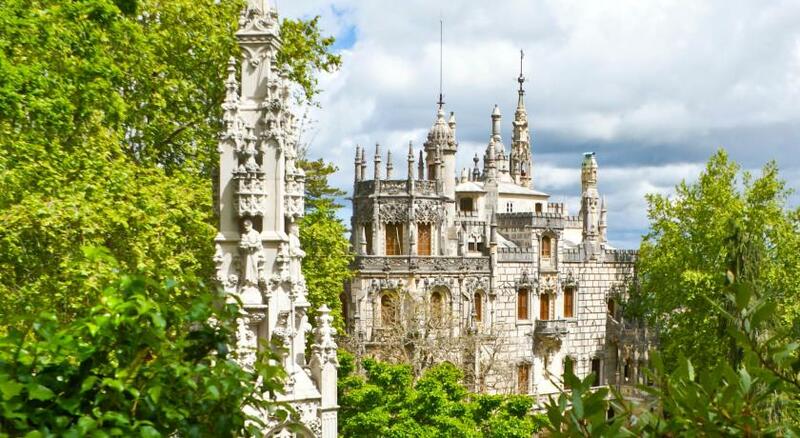 We liked Sintra. We liked that you could walk to town. We found the only place in town left open for dinner with a fun waiter. It was a great stop on our visit to Portugal and we would highly recommend staying here. This place was amazing! The owner himself greeted us and handed over the keys. The house just blew up our minds with all the history it'd stored in its walls. The location and views were brilliant and the garden surrounding the place was very nice. Everything was perfect, no exceptions! Very nice place with friendly owner. No problem with parking. The location was perfect in between the town and ride to the Castle The site is beautiful,and our Host was super nice.Our room looked over the front with a beautiful view of the Moorish castle. 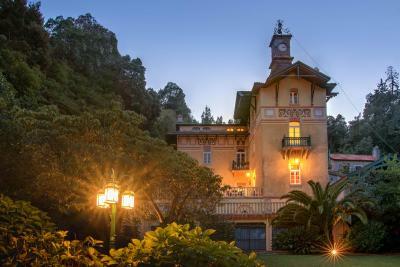 It was nice place where to spend few days in Sintra. The place has it s own chic. Location is very good to make the tourism around. Good breakfast with welcome staff. The views from the residence were very pretty. The fireplace in the cold winter days was perfect! The couple that owns this property is very nice. 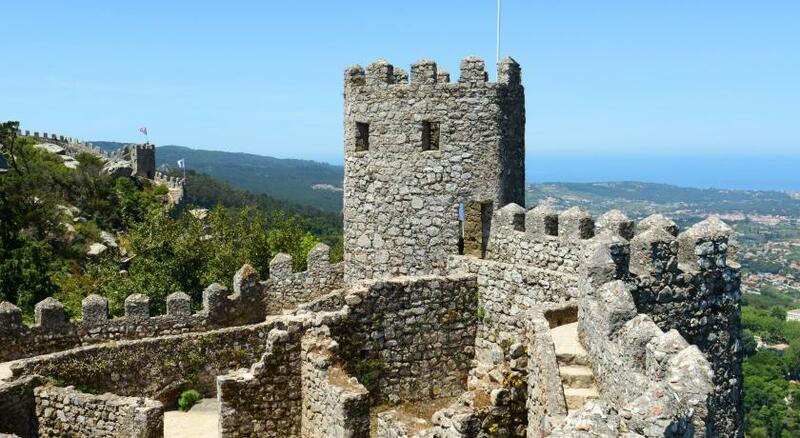 Location was great for all the hiking areas we wanted to do in Sintra. 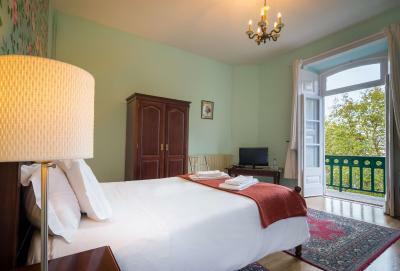 Nice and cosy place to stay with magic atmosthere of an old castle. 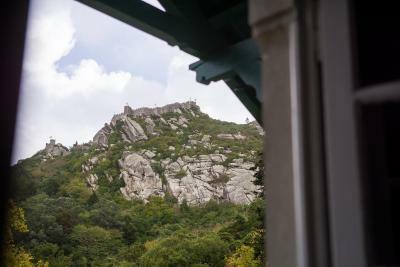 Beautiful view from chalet to Morish castle. Free parking available. Good continental breakfast. One of our top picks in Sintra.Historical mansion Chalet Relogio was designed by Italian architect Luigi Manini, who also planned the Escala in Milan. 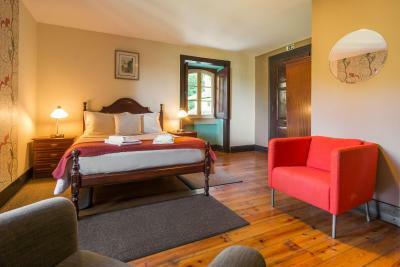 Under a new management and recently renovated, the hotel features rustic accommodations overlooking Sintra’s Valley and the Moorish castle. 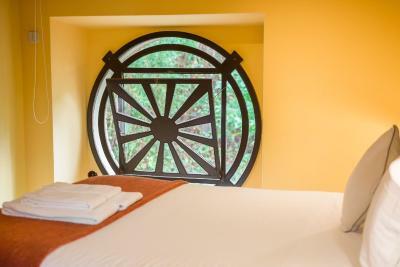 All of Relogio’s rooms feature recessed, paneled windows with internal shutters. 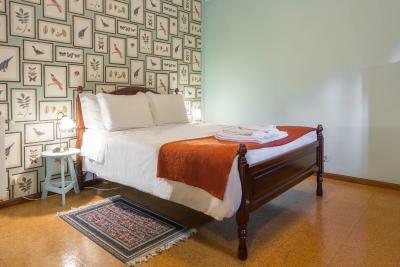 Parquet floors covered with tapestries and wooden furnishings provide a historic feel to the rooms. Some rooms also feature a fireplace. When the weather allows, breakfast can be enjoyed on the balcony over the garden, taking in the view of the Hill of the Moon (Mount Sintra). Afterwards, the garden invites for a stroll on the property. Tea and coffee are served for free during the day in the breakfast room. 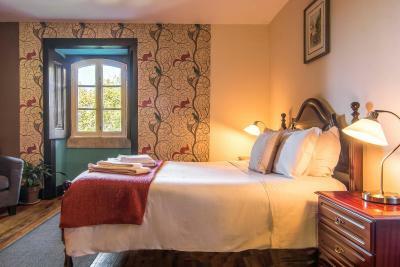 Chalet Relogio is located within 5 minutes drive from the train station, within 1.2 mi of the historic Pena Palace. 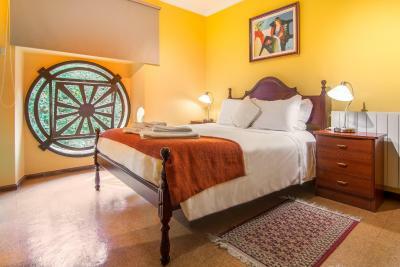 It is 2,300 feet to the historical center of Sintra, with parking and WiFi both free of charge. 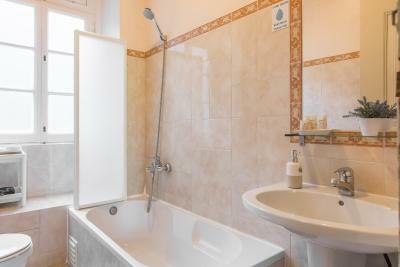 뀐 Located in the top-rated area in Sintra, this property has an excellent location score of 8.7! 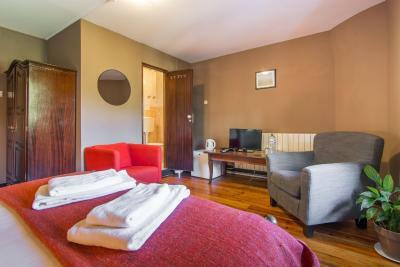 When would you like to stay at Chalet Relogio Guesthouse? 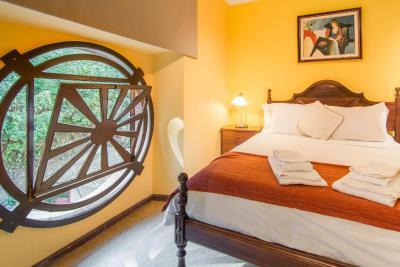 Some rooms offer a castle view. 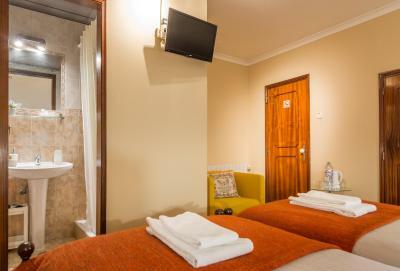 Please note that the private bathroom is located across the hall and is only used by the guests of this room. We do offer free parking for all our Guest. 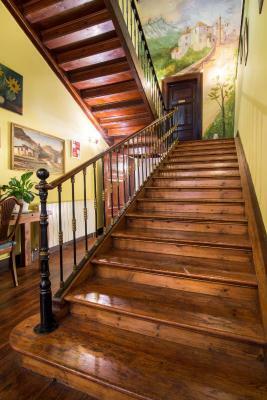 House Rules Chalet Relogio Guesthouse takes special requests – add in the next step! Please note that when booking for 6 or more people, different policies and additional supplements may apply. Please note that payment can be requested prior to arrival, via bank transfer. For payments on site, credit cards are not accepted, only cash. For check-ins after 18:30, please contact the Chalet Relogio for availability. 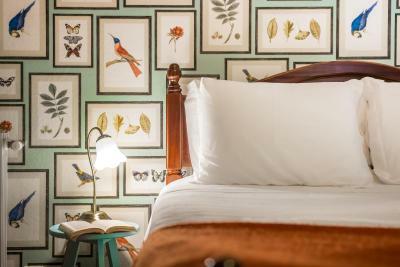 Guests may do so through the Special Requests box, when booking. Late check-in is always subject to availability and confirmation. Please be informed that the hotel has no extra beds or cribs. A third person is not allowed to share the existing bedding. Guests are not allowed to bring their own crib/cot. Bathroom separate ... had to walk across landing. Keys in locks + poor sound-proofing made it very difficult not to disturb other residents. Poor breakfast selection. 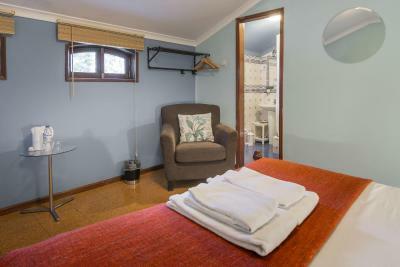 Very small room with tiny windows. Hard bed. Sintra’s one-way system is a disaster if you are driving. Not much to do near property as at top of Sintra hill. Nearby restaurants expensive. Building has character, nice guest lounge. Great views. It needs prepay by bank transfer. The cost of money transfer is high and from both bank. I just don't understand why don't use credit card or other payment system. The breakfirst is super. The room is comfortable. 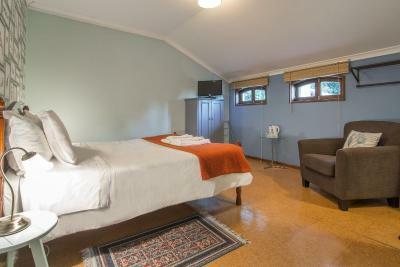 Beautiful accommodation, in a serene setting. Great breakfast included. Lovely staff and lovely cat! Pretty challenging to find on my car GPS, but the property sent me an e-mail stating that this could be possible so it would be best to use Google Maps or Waze to not have problems finding the address. Upon check-in it was a bit difficult, as the person from reception did not speak English, but we managed in the end. 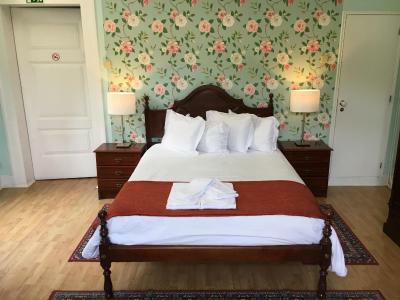 One of the best sleeps I have ever had, very nice place, great location, very traditional feel, but nevertheless clean, comfortable and very good value for money. Good breakfast, free on-site parking, very close (walking distance) to all attractions. We had a room for three which was quite shabby and dark with a view on the backyard. We were three people, with one bed for two and one bed for one. The small bed was really hard and it felt like I was sleeping on the floor. Continental breakfast with very little variety. Be aware that there's no sidewalk when you walk to the city center so you have to walk on the road, and there's quite a bit of traffic every morning. 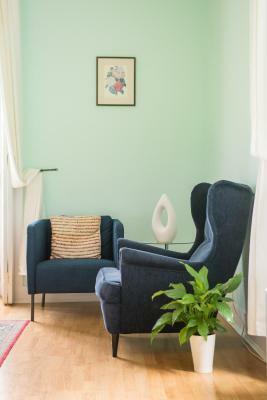 It's a small house that fits only a few guests in a beautiful green area in Sintra. Takes about 10 min. to walk to the city center. If you're check out early you'll get a take away breakfast. The breakfast room is very small and the space is very limited, it was full and some guest were not able to have their breakfast because not available tables. Breakfast was really good, and the food too. Bread was very fresh like the rest of the food. Housekeeping attention was better than the attention from the owner. No elevator, not very nice to carry suitcases to the top floor. We stayed at the Chalet Relogio because we had a morning flight and we wanted a place in the area that had free parking. 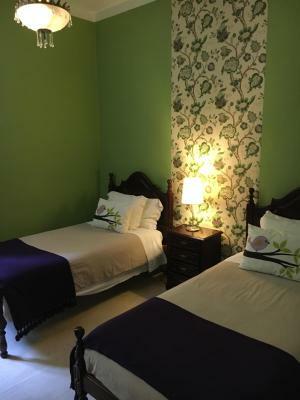 The house is beautiful and our triple room had lots of space and was very comfortable. The fridge in the room was nice to have if you wanted to store things in it. We weren't able to have breakfast as it doesn't start until 9:00 am and we had to leave by 7:30 am to get the airport so the owner sweetly put a breakfast together for us which was greatly appreciated! If you are going to the airport, be sure to give yourself lots of time! We left at 7:30 am and it took us 1.5 hours to get to the airport because of traffic even though it isn't a far distance. This would be true of any place in the Sintra area, not just this hotel! The owner was lovely and we can't wait to go back and stay longer and to really enjoy the house and the area! The blinds didn't match the decor of the room. There was a slight drain smell in the bathroom but we just kept the door closed. There is ample, easy to access parking. 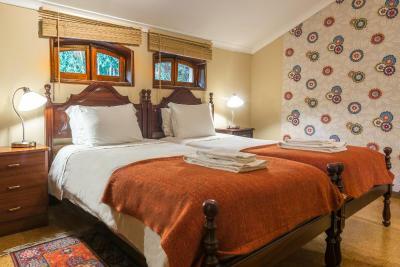 The guest house is a lovely restored property. 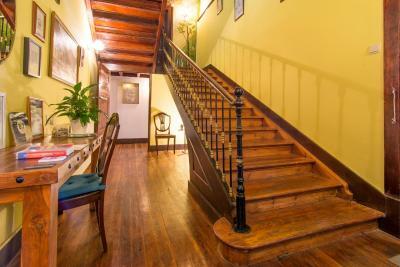 It is quaint and cozy. Our room was very clean. Breakfast was excellent. It was cold when we were there and there was excellent heat in the room. There is a bus stop for the city bus that you can take to pena palace or into town if you don't feel comfortable driving just to the left of the guesthouse. The mattress on the single bed was a bit hard and my daughter didn't sleep too well. Also I prefer places that don't use lots of small plastic containers for jams, honey and butter etc. I start to worry about it all ending up in the ocean !! 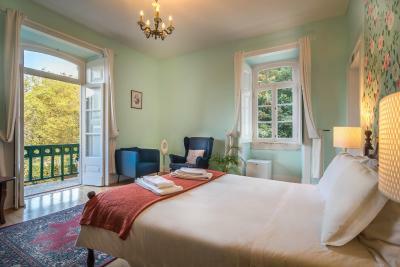 Lovely location, close to the lovely old part of Sintra but set in lush gardens on the hillside above. A charming old house with lots of character.The mattress on the double bed was just fine for me and I had a good night. The weather was cold and wet when we were there but the radiators heated up the large room nicely. The drains in the bathroom smelt however this is likely due to the age of the house. This was the only downside and everything else was perfect. Onsite parking was extremely convenient as we had a car. Street parking in sintra is usually completely full so this was a terrific bonus. Daily breakfast was delicious, we were really happy with the accommodation and services. The hosts were very helpful and friendly as well. Very pleased with our stay.